For more information click above logo. 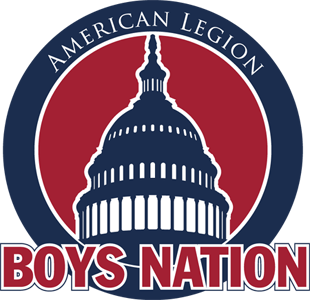 The American Legion Boys State program is among the most respected and selective educational programs of government instruction for high school students. In it, each boy learns how he can become a part of the operation of his local, county and state government. In the case of the District of Columbia, the children also learn about federal agencies, such as the Department of State. Although the District of Columbia is not a state per se, the DC AL Department HQ still offers a Boys State program. In summer of 2017, it was held at the HQ of the international Brotherhood of Teamsters at 25 Louisiana Ave NW, Washington, DC 20001. The American Legion has offered Boys State programs since 1935 when it organized to counter fascist-inspired "Young Pioneer Camps." Two Illinois Legionnaires, Hayes Kennedy and Harold Card, started the first Boys State learning opportunities at the Illinois State Fairgrounds in Springfield, IL. At Boys State, teens are exposed to the rights, privileges, duties and responsibilities of a franchised American citizen. The training is objective and practical, and features governments operated by the students elected to various offices. Activities include legislative sessions, court proceedings, law enforcement presentations, assemblies, bands, chorus and recreational activities. American Legion Posts select promising high school juniors to attend. In most cases, expenses associated with attending this program are paid by a sponsoring American Legion Post, a local business, or a community-based organization. 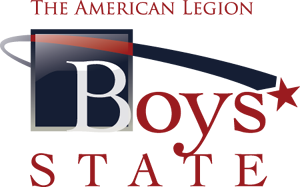 Boys State programs vary in content and method of procedure, but each and every Boys State adheres to the basic concept of the program - to teach US government from township to state levels. In Washington DC, one more level is added to that because our unique location offers insights like nowhere else in the US. The American Legion Auxiliary sponsors a similar program for girls, Girls State. For more information, click logo.